It is with sadness that the Ministry of Defence must announce that Captain Martin Driver from 1st Battalion The Royal Anglian Regiment died in Selly Oak Hospital on Monday 15 March 2010 from wounds sustained in Afghanistan. Captain Driver died at the Royal Centre for Defence Medicine at Selly Oak Hospital as a result of wounds sustained in an explosion which occurred in the Musa Qal’ah district of Helmand province on the morning of 21 February 2010. 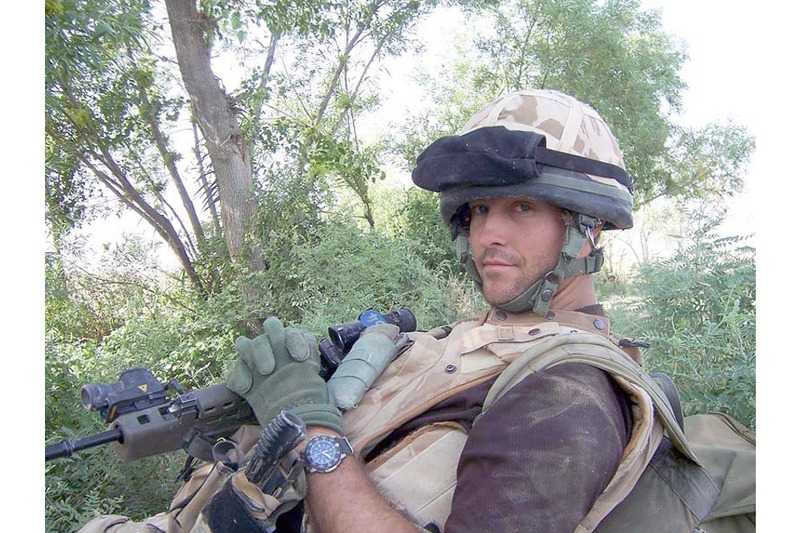 Captain Martin Driver, aged 31, originally from Barnsley, commissioned into 1st Battalion The Royal Anglian Regiment, ‘The Vikings’, on 16 December 2006. He had previously served in 4th Battalion The Parachute Regiment (4 PARA), a TA unit, while at university and deployed during this time on operational tours in Iraq and Northern Ireland. Having completed the Commissioning Course at the Royal Military Academy Sandhurst, he deployed to Afghanistan on Operation HERRICK 6 in 2007. After two years commanding his platoon he was posted to study Arabic at the Defence School of Languages in Beaconsfield and promoted to Captain. He returned to ‘The Vikings’ as the Second-in-Command of A (Norfolk) Company. It was in this role that he deployed to Afghanistan for the second time in October 2009 with 1st Battalion The Royal Anglian Regiment, serving as part of the Household Cavalry Regiment Battle Group, and was Acting Company Commander when he was tragically injured by an improvised explosive device blast whilst on patrol in Musa Qal’ah, resulting in his death in Selly Oak Hospital this week. We are heartbroken by the tragic loss of our beloved Martin. He was such a caring young man who always put his family first. He touched the lives of all who had the privilege to know him. He died doing a job he loved. His dedication and professionalism will remain an inspiration to all. Martin always wanted to be a soldier and an officer he became, a Captain of the Vikings, 1st Battalion Royal Anglian Regiment. We are so proud of his efforts. His legacy shall never be forgotten. He has touched so many with his love and compassion. We as his family, like others, shall always keep him in our hearts. Martin leaves behind his beautiful partner Johanna, mother and father, and twin brother. We are so grateful for the efforts of the Medical Teams in Afghanistan who brought Martin home, as he promised us he would. We would also like to thank the staff of Selly Oak Hospital Critical Care Unit, the Royal Centre for Defence Medicine, and all of the Surgical Teams who worked so valiantly for Martin during the last three weeks. He died peacefully at 11 minutes past 11pm on the 15th of March 2010. We will never forget our Airborne Viking Brother Martin. God bless him. Captain Martin Driver was a quiet and modest officer for whom the Army was his life. This quiet exterior hid a man who was focused and determined. He was one of the strongest Captains in the battalion and showed the potential to achieve great things in the Army. “He was a superb infantryman and an even better officer. He had a coolness about him - people naturally followed. Intelligent, driven, outstandingly fit and with grit and gravitas - he was planning to attempt Special Forces selection this summer and few in the battalion expected him to return. He received his wounds whilst acting as the Company Commander of A (Norfolk) Company, a role he had stepped up to with confidence and poise. This was his fourth operational tour and his second deployment to Afghanistan. He thrived on the intellectual and physical challenges that only operations bring. Martin was a popular and utterly decent man and he will be sorely missed by all those whose lives he touched. He has given his life in the service of his friends in the battalion, for the Royal Anglian Regiment, for his country, and for the people of Afghanistan. As individuals and as a battalion, our thoughts and prayers are with his family and girlfriend who have been with him by his side as he has fought for his life over the last month. Martin served as a ‘Viking’ officer, died commanding ‘Viking’ soldiers, and will never be forgotten. The news of Captain Martin Driver’s death has shocked the Battle Group in which he served. He was an inspiration to his company, a man of considerable combat experience and someone who was the backbone to A Company’s operations. Through his leadership and control, A Company has dealt a huge blow to the insurgency in the north of Musa Qal’ah, liberating the people and bringing them security and hope. He relished the challenge of being here in Afghanistan to help the people rid themselves of tyranny, and he did so much to ensure that A Company was at all times prepared and ready for combat. Captain Martin Driver finally succumbed to his wounds three weeks after sustaining a terrible injury and it is testament to his strength of character that he held on for so long. Martin was an exceptionally talented young officer. Using his vast operational experience to best effect he was not only an excellent Company Second-in-Command but had been earmarked for future key roles within the battalion. He was diligent in his role but he also brought his dry sense of humour to the fore as he mentored the Platoon Commanders. At the time of his injury he was acting as Company Commander and was relishing the opportunity of commanding the company on operations. Hugely popular across the whole spectrum of ranks and a great friend to so many of us in the battalion, he will be greatly missed. His passing has left a huge gap in the battalion’s ranks but I know, as a dedicated officer, he would want the company to continue on with its mission. Our thoughts and prayers are with his family, especially his parents, brother David and girlfriend Jo at this very difficult time, especially as they have held vigil at his bedside for three long weeks. A great man and a great friend, Martin was and always will be the epitome of a true ‘Viking’ officer. 11 years ago I had the good fortune to make a friend and colleague in then Private Martin Driver when we both joined 4 PARA. It was immediately obvious that we were doing it for the same reasons; to gain experience as soldiers while at university, prior to embarking on careers as officers. We have followed almost identical military careers, serving concurrently in Northern Ireland and Iraq as soldiers and two tours of Afghanistan since commissioning from Sandhurst. “Martin was a thoroughly professional soldier and officer and one couldn’t ask for more from a friend. He was the consummate and selfless professional and would always ensure that all duties, be they to his office or his friends and family, were completed to perfection regardless of the impact upon himself. It is testimony to his character and spirit that he survived for so long with such serious injuries; his tenacity and robustness showing right to the end. I will remember him as a loyal and trusted man whose wit and wisdom, and his ability to express them, were never far round the corner. My thoughts and prayers are with his family and Jo at this sad time as we come to terms with this loss and grieve for a great friend. I first met Martin Driver on my return to the battalion in 2007, where he had already established himself as an exceptional young officer. We jokingly nicknamed him ‘mumbles’ - he was a quiet, unassuming officer, but once you got to know him you could not help but be impressed by his capacity for work, his ability to get to the heart of any problem and the extent to which he cared about those under his command. He was someone who you knew would graft for his platoon, whatever the circumstances. He took this attitude with him when he became the Second-in-Command of A (Norfolk) Company. All that had changed for him was that he now needed to look after over 100 soldiers rather than 30. I knew that if I had a question about any man in the company, he would be able to answer it. Martin’s loss will be keenly felt by the officers and soldiers of the battalion. I will always remember him as a good friend, a solid operator and a man I knew that I could turn to. Equally at home in a bar with his friends, out thrashing himself down a hill on his bike or commanding his men from a trench, he is irreplaceable in every respect and I know he will be missed. I was deeply saddened to hear the news of Captain Martin Driver’s death. He was clearly a highly valued member of his company who was an inspiration to his men and brought the benefit of his considerable experience to operations. He was injured commanding his soldiers as they strove to bring greater security to the people of Afghanistan and the UK. My thoughts are with his family, friends and colleagues at this difficult time.